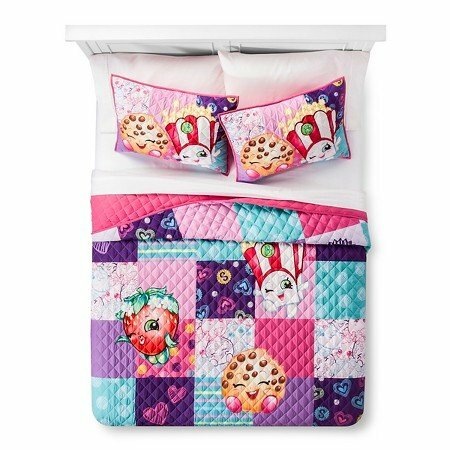 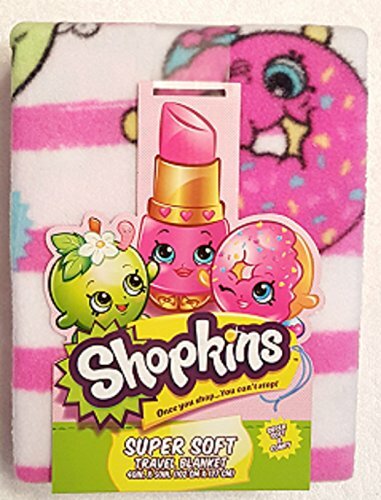 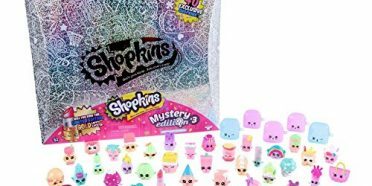 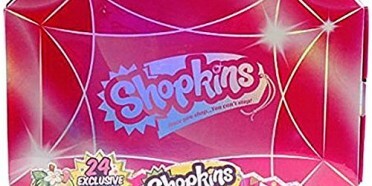 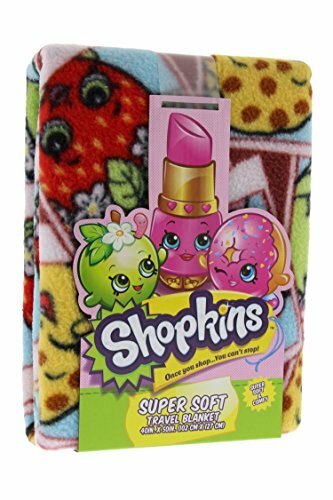 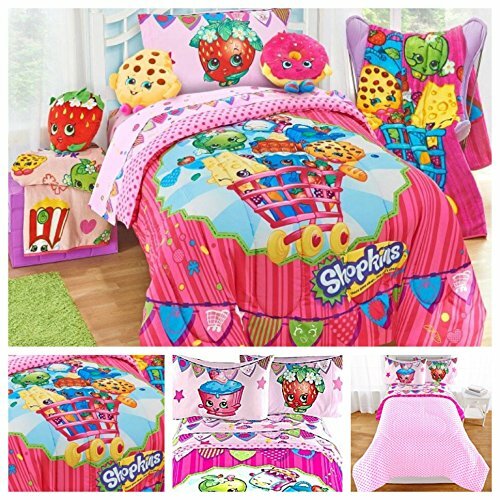 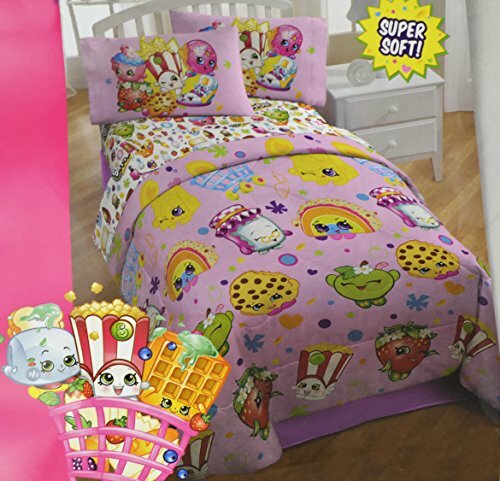 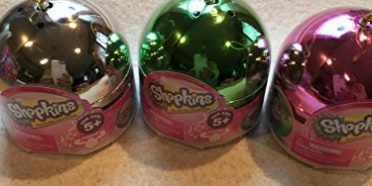 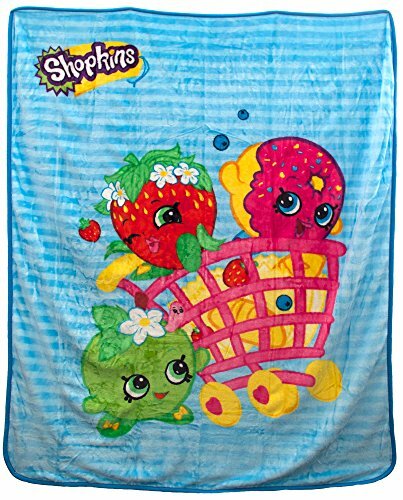 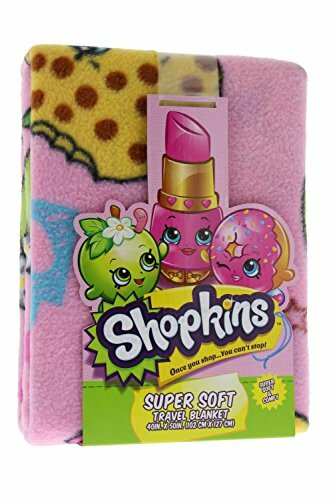 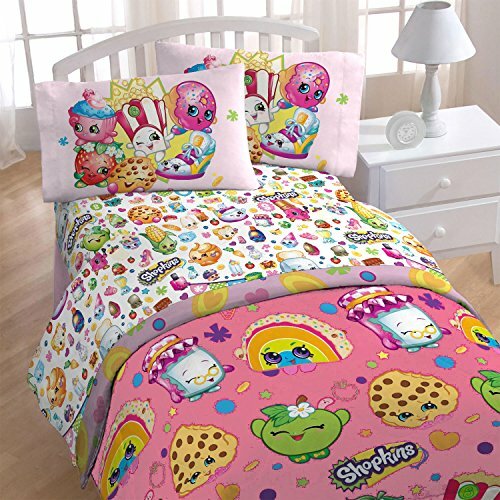 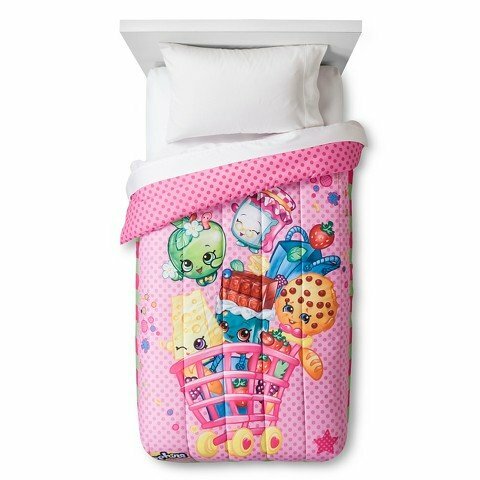 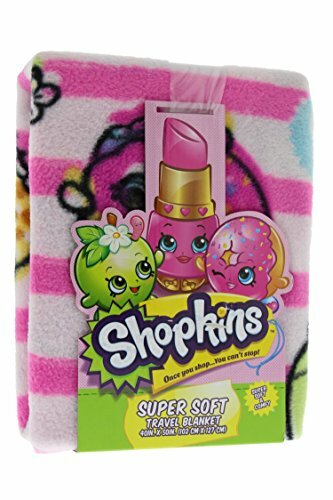 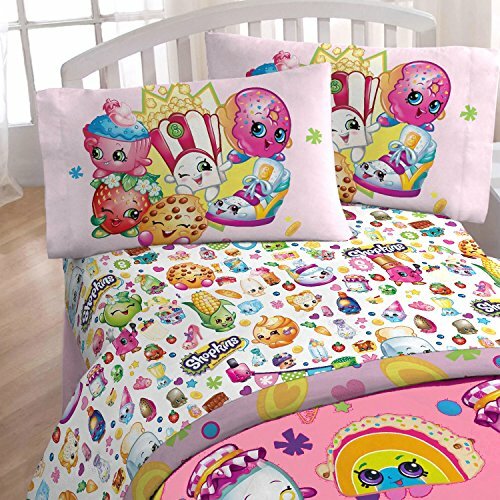 Shopkins Bedding is very popular and makes a great gift for fans of all ages. 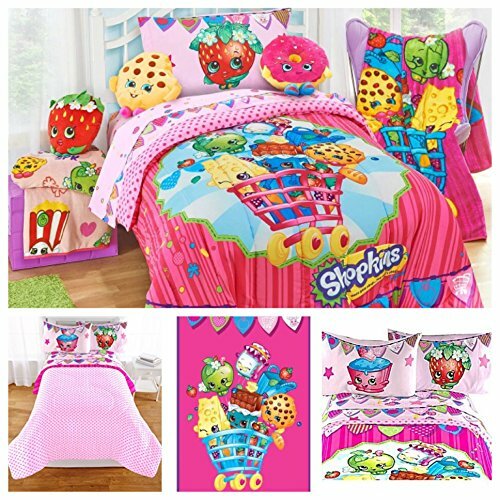 No bedroom is the same after you add cute, colorful Shopkins. 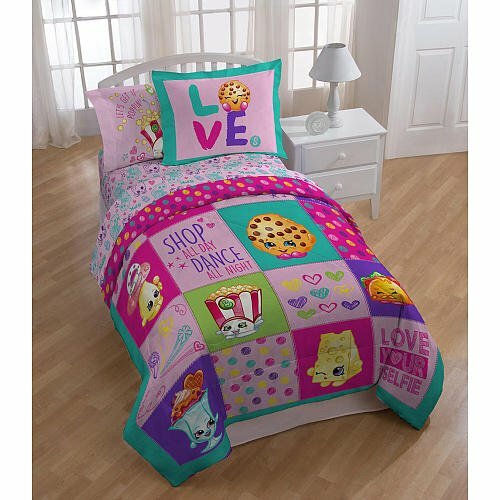 Please look below at the selection of bedding. 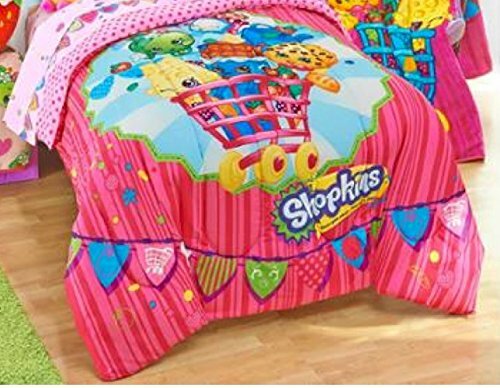 Brighten up your little ones room with this adorable and colorful Shopkins Twin Sheet set. 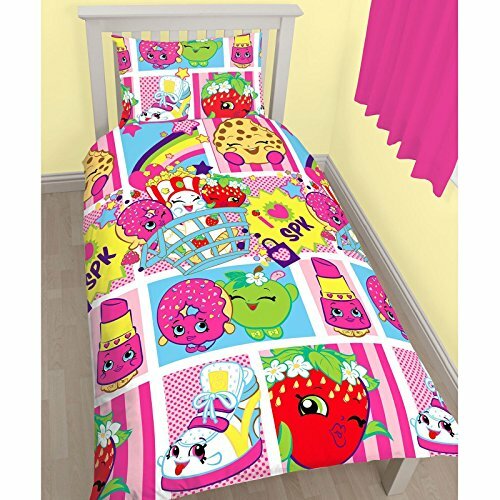 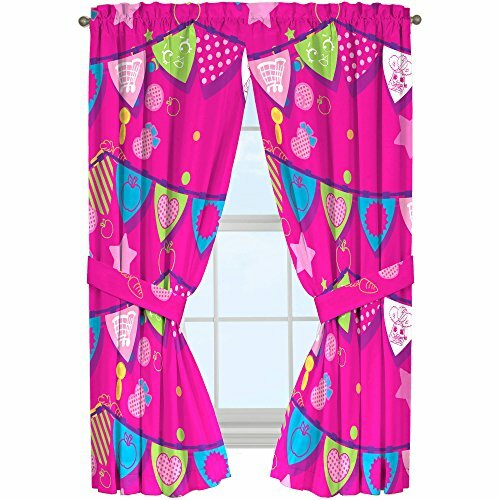 It features vivid designs and patterns that will easily coordinate with bright and fun colors of your child’s bedroom.
. 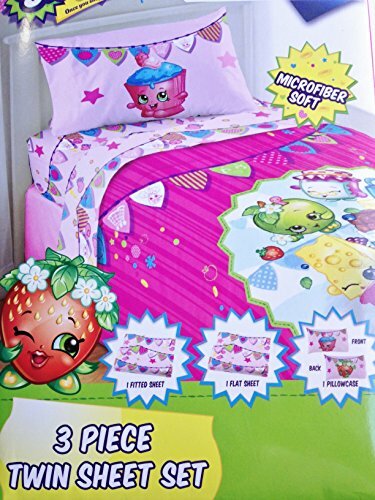 This 3 piece twin size sheet set includes a fitted sheet, flat sheet and standard size pillow case. 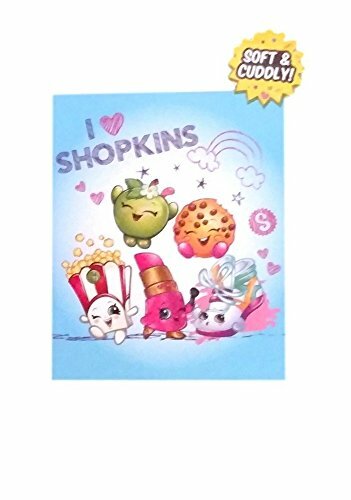 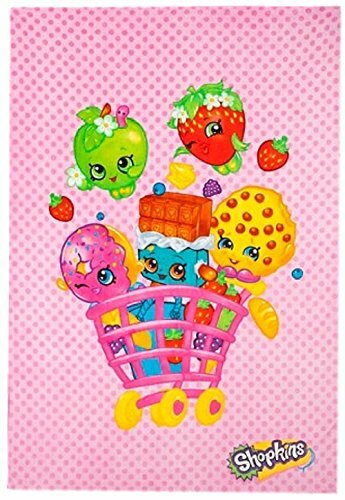 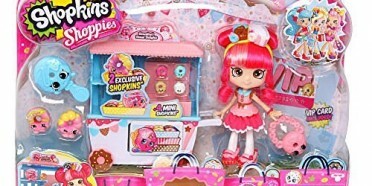 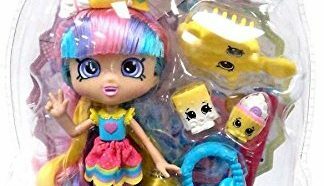 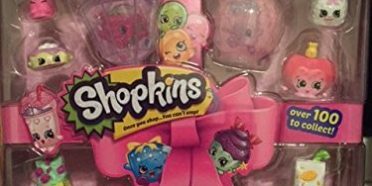 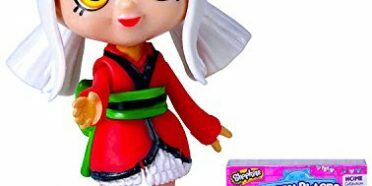 Themed after the popular Shopkins characters with bright colors and logo design. 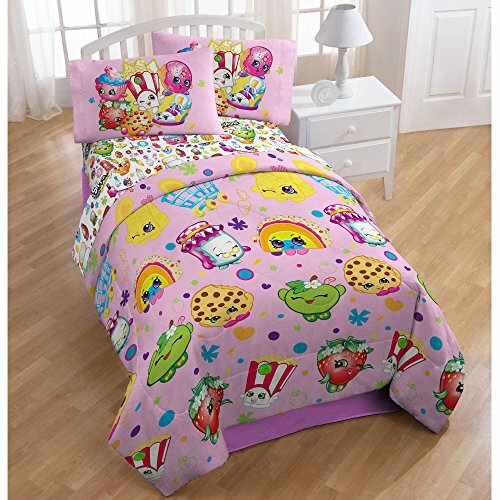 Made with super soft microfiber material for comfort and durability.